It is a common belief amongst mental health professionals, as well as researchers, that members of the LGBT+ community are more likely to abuse drugs and alcohol than the general population. I mean, hey, I myself and my lesbian wife are both in recovery for different addictions, yet we had very different lives before we met. According to the Substance Abuse and Mental Health Services Administration (SAMHSA), the rate of substance use disorders amongst the LGBT community is as high as 20-30%, while the national average is only 8-9%, although exact numbers can be tough to determine due to how people self-identify. However, in a similar study done by the U.S. Department of Health and Social Services, it was reported that nearly 30 percent of LGBT individuals will experience a substance abuse problem in their lifetimes. These numbers and statistics indicate that there is a larger problem in the LGBT community and treatment sometimes should be taken very seriously. What Will Rehab Be Like For a Gay or Bisexual Person? 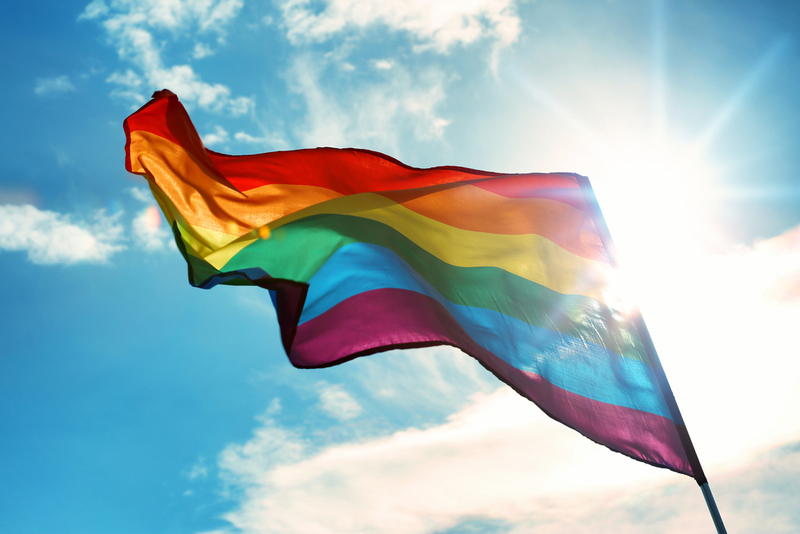 Many mental illness and substance abuse treatment facilities for people from all walks of life are knowledgeable and experienced in treating LGBT+ clients. The community as a whole faces different struggles and stigmas, so the types of therapies may be specially tailored, especially if the person being treated has suffered from trauma in their life. The staff in these centers are highly trained and experiences in dealing with the issues that face the LGBT community, so they can better understand the mindset of lesbian and gay addicts and alcoholics. A lot of LGBT+ clients have different experiences in life that could’ve played a role in their addiction. For example, stigma in the workplace, lack of familial support, bullying in schools, and even self-acceptance. It is extremely important that the individual seeking treatment feels comfortable and safe to share about their life experiences in a group setting and with their therapist. While there will always be the risk of discrimination, prejudice, and just flat out dumb comments made by other clients, just as in the ‘real world’, you can feel reassured knowing that the staff, including the behavioral health techs who sit and talk to you while you’re outside smoking a cigarette, are level-headed and compassionate. One of the goals for LGBT+ folks who go through the treatment process is to find or increase their self-esteem and self-worth. Once you find confidence, you’ll also find that the ignorance and offensive actions made by others won’t bother you anymore (or at least as much). Who knows, maybe one day you can be the listening ear to someone else who’s going through what you’re going through right now. How is Treating the LGBT+ Community Different than Treating the Straight Community? If you’ve ever been to an AA meeting, or any similar support group, like SMART Recovery, etc. you’ll notice that the recovery community, in general, is way more accepting than mainstream society, although I must give society some credit as well — I wasn’t able to get married when I first got sober (which, in retrospect, was probably my Higher Power looking out for me) and now I am. Generally, drug rehabs and mental illness treatment centers have a small, intimate environment, at least for a good chunk of the average day. Most centers rely heavily on Cognitive Behavioral Therapy (CBT), in the form of group therapy coupled with individual sessions. Group therapy is especially beneficial in this type of setting, as it teaches patients to reach out for support and how to find strength in genuine relationships. Towards the end of the stay, therapists will start discussing aftercare options. Outpatient therapy is typically recommended during this time of transition. Many clients choose to stay in an LGBT-specific sober-living home, however just as with every other recovering addict, ‘wherever you go, there you are’. This means that if you truly want to change your life and live clean and sober — you can do it anywhere. However, there are many sober-living homes, or halfway houses, in every city around the nation that are specifically for LGBT+ individuals. At Growth Extended, we understand the specific obstacles that face the LGBT+ community and will make every effort to accommodate you or your loved one so they can recover in comfort, free of judgment or harassment. There’s no better day than today to start a new chapter, call us now at 1-888-948-9998 to get started. PreviousWhy Do People Fear the Fourth Step?